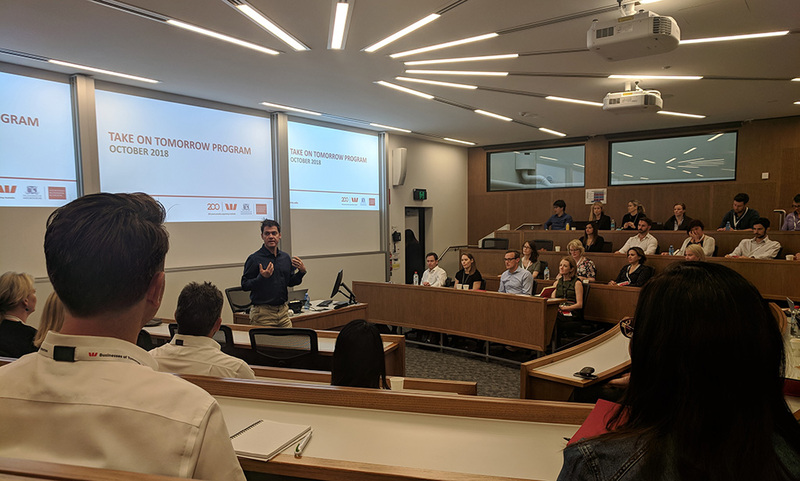 Launched by Westpac (one of Australia’s largest banks) in 2017, the Businesses of Tomorrow program seeks to identify and celebrate the Top 200 most promising businesses in Australia shaping the future. We’re honored to be the only Australian social media tech company to win the award which speaks to the strength of the product and capabilities that Social Status has built which now serves over 3,000 marketers and advertisers globally. Businesses were assessed by Deloitte and chosen by a judging panel based on their potential to help tomorrow’s customers, economy and society. The panel consisted of high profile leaders including David Lindberg (Chief Executive of Business Banking for Westpac), Lyn Cobley (Chief Executive of Institutional Banking for Westpac), Alison Deans (Director of Cochlear), Simon Cant (MD of Reinventure GRoup), Tim Fung (CEO of Airtasker) and Prof Ian Harper (Dean of the Melbourne Business School). As part of the prize, we took part in a 3-day “Take on Tomorrow” program run by Melbourne Business School with inspiring lectures from some of Australia’s brightest minds including Bernard Salt, Mark Ritson, Lisa McInnes-Smith and Scott Bales (pictured below). We met other incredible companies and founders from a range of diverse industries. The thing that they all had in common was an infectious enthusiasm for the future, for technology and for the opportunity that lies ahead as markets shift, industries get disrupted and audiences evolve. 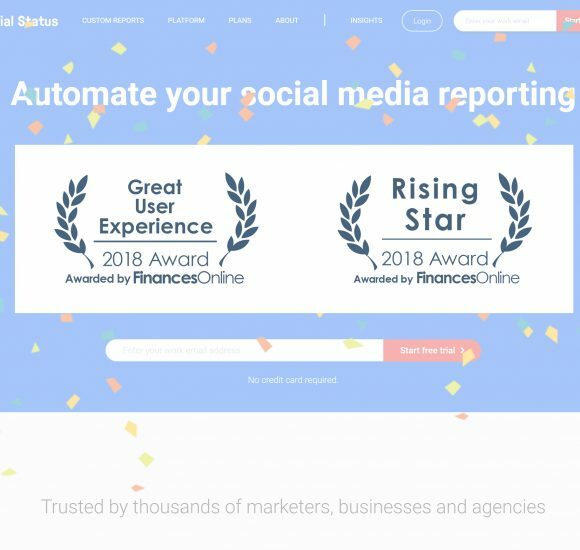 Social Status is proud to be recognized by FinancesOnline in their latest 2018 Awards for the best Social Media Analytics software. Social Status has won both the Great User Experience Award and Rising Star Award for 2018 in the best Social Media Management category. FinancesOnline is a leading B2B software review platform. This recognition is given out to products that provide outstanding solutions for companies across a number of different categories. We’re so delighted to be acknowledged as a leader in the Social Media Analytics category globally. As a result of the awards and positive reviews, Social Status has been catapulted in FinancesOnline’s distinguished rankings. We’re now officially among the best Social Media Analytics solutions in market. Cited by reviewers were Social Status’ report automation capabilities, integrations with Facebook, Instagram, YouTube and Twitter for monitoring performance of brand accounts, and many other robust features for quantifying, measuring and reporting on social performance. Check out the full analysis on Social Status features by FinancesOnline. To see the power of Social Status for yourself, create your free account today.